"What does one life matter?" Twelve years ago, Black Isle Studios crafted a plane-hopping, tragic adventure set in the Planescape Dungeons & Dragons setting. With a nameless, amnesiac protagonist who had been both a hero and a villain, the developer explored the question, "What can change the nature of a man?" Planescape: Torment remains one of the most intriguing and metaphysical role-playing games, and fans -- of which there are many -- have been clamouring for some sort of sequel for about as long as the original has existed. Though Wizards of the Coast still hold on to the IP, clutching at it and refusing to let go, the themes and philosophies behind the game can not be held by any company. Thus, a thematic sequel, Torment: Tides of Numenera, is being developed by a team of Planescape: Torment and Dungeons & Dragons veterans at inXile. The project's Kickstarter begins today, and I had a wee blether with designers Colin McComb and Kevin Saunders about the crowd-funding route while I tried to ferret out more information about Torment from them. Kevin and Colin are no strangers to Planescape: Torment, and both offer the new project years of experience. 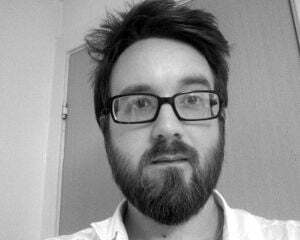 Colin, the creative lead, co-wrote and developed Planescape: Torment with Chris Avellone and spent five years working with TSR on the Planescape campaign setting which is where he met Monte Cook, the mind behind Numenera. Kevin, the project director, worked at Obsidian for more than five years alongside Chris Avellone, his first game at the studio being the fascinating, if unfinished, Star Wars: Knights of the Old Republic II. 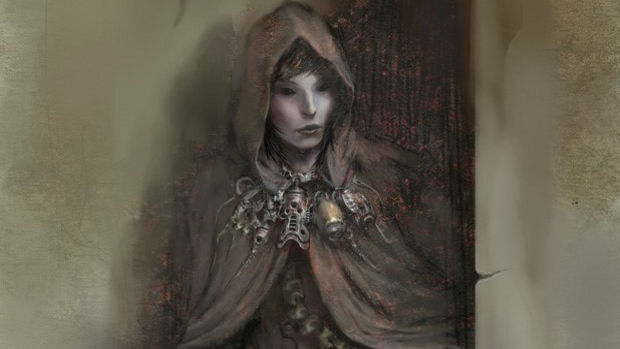 Notably he was also the lead designer on Neverwinter Nights 2: Mask of the Betrayer, an expansion that, in my opinion, was a vast improvement on the core game and probably the closest thing we've had to a Planescape:Torment sequel up until now. While the absence of Avellone may be felt by some fans, the team working on Torment, at least on paper, seems like the perfect group to be working on a spiritual successor to the Nameless One's traumatic journey, and includes members who worked on the art, writing, and even the music of the original game. Kevin described it as "serendipity," with Avellone as the "mastermind" setting up the project, despite not being a part of it. It was he who hooked up Colin and Brian Fargo, and last year he talked up a storm about wanting to see a new story with the themes laid out in the first game. 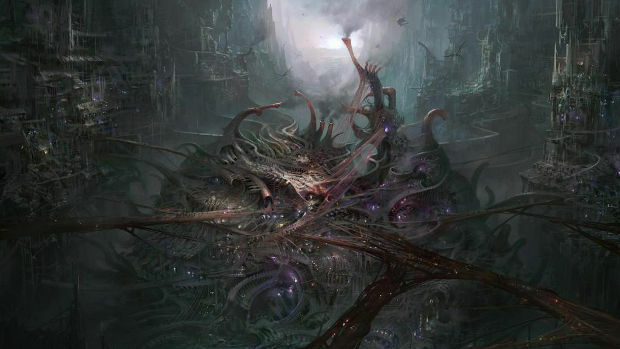 But for all its connections with the twelve year-old classic, Torment sounds like it will be very much its own game and exists within a brand new setting, Numenera, devised by D&D veteran Monte Cook. I wondered how much freedom this gave the team when it came to making their own mark on this world. "We are actually working very, very closely with Monte on this ... he is very happy to work with us, and provides us with guidance and direction when we need it." Colin explained, "We have a lot of freedom." 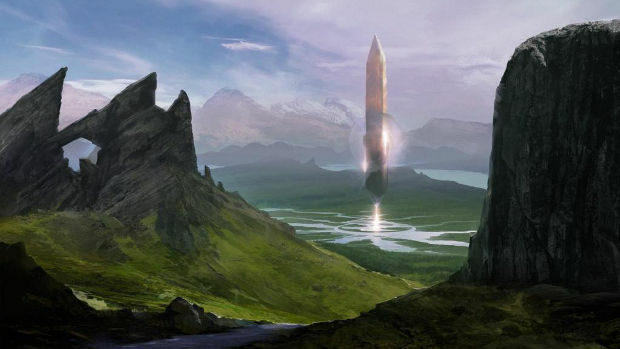 Kevin noted that Numenera has been designed to give GMs a lot of flexibility, and that this makes the setting a good fit, as it offers them this freedom as game developers as well. Monte Cook actually has an official role on the project beyond just being the licensor -- he's also one of the developers. Torment has been described as a thematic franchise rather than one that's stuck in any one setting, and in Torment, inXile wants to expand on the questions and themes raised in its predecessor. If Planescape was meant to answer "What can change the nature of a man? ", Torment answers "What does one life matter?" It's up the players to seek the answer themselves, however. The question ties into the rest of Torment's themes: abandonment, mystery, all lying at the heart of the game. While the scope is vast and metaphysical, Kevin emphasized that it's still a focused game. "It's a very introspective, personal journey that we're talking about. It's going to be really epic in feel, much like [Planescape] was, but when you get down into it, what [Planescape] really was was a very personal story about a guy trying to discover who he actually is." Set one billion years in the future, Torment shows us an Earth utterly changed and alien. Countless civilizations have risen and fallen, and humanity has now returned to an almost medieval level of technology and understanding. Magic played a large role in Planescape: Torment, and will do so again, but it's not divine or arcane magic -- this time the driving force behind it is long forgotten science. Colin expanded on this. "Magic is basically just science that we don't understand yet. In this case it's one billion years of scientific advancement. Think about all the cool things that are happening with science now, I mean they just invented cranium rats (terrible pests from Planescape: Torment that, when grouped together, increased in intelligence and even cast spells)." According to Kevin, inXile is emphasizing the mystery of science, thus things will feel more like magic, more fantastical, even if their basis is in science. "For people looking for a fantasy game, that is what it will feel like to them." 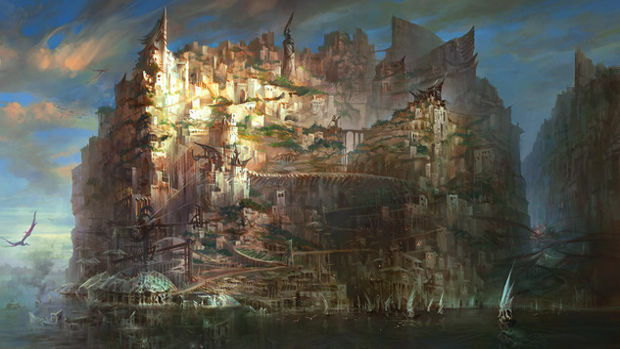 Monte Cook describes the setting of Numenera as being like 1000 AD, where you have a lot of ostensibly simple clusters of villages and lead a subsistence lifestyle, but are surrounded by the remains of ancient civilizations, their ruins, and the remnants of their technology. The basic plot has already been worked out, and right now perfecting the narrative is the focus since, as Kevin stated, "it drives everything else." With that in mind, I picked their brains about the premise, not really expecting them to reveal much this early on. I was delighted to be wrong. Colin revealed the tale of the "Last Cast-off": "There is a man who didn't want to die. His motivations had been lost over the centuries, but at some point he discovered some ancient tools that allowed him to cast his consciousness into a new body, and he has used these tools to cast himself across a succession of bodies over the course of centuries, if not thousands of years. "What he doesn't realize is that every time he leaves a body, it awakens with a new consciousness. And so he has left behind all of these cast off shells, and they are awake and alive, and they realize 'Oh my god, I've been abandoned by my father. What's my place in the world? What am I doing here?' And it turns out that they attract suffering. Eventually there is so much of this suffering that has been created by these shells, that an age-old guardian has been awakened and is now hunting [their] sire." It's certainly a premise I couldn't have imagined, and it definitely has hints of Planescape: Torment about it, namely the refusal to die. 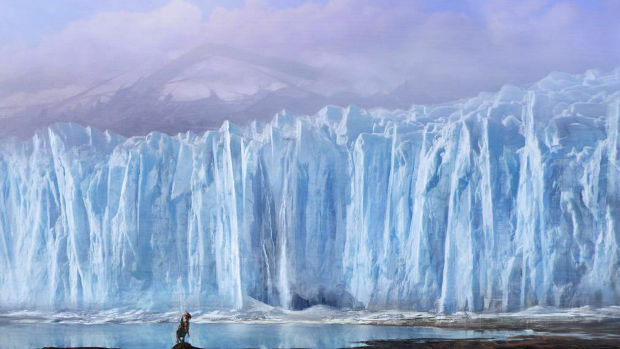 Players will control the last of these living shells, and the first thing that they see as they are thrust into existence is the aforementioned guardian hunting their sire, and then they plummet to the Ninth World, taking over the cast off body. It sets up the story of self-discovery perfectly, and it's undoubtedly something of a tragedy, much like its predecessor. 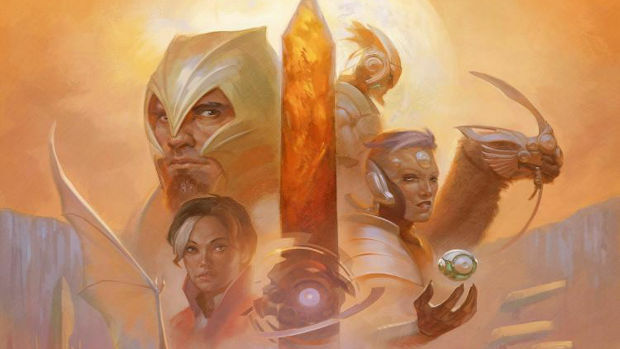 Numenera doesn't have the plethora of classes other role-playing games may boast, instead using a focus to allow players to customize and define their characters. Torment will be doing the same, though there may be additional foci created by inXile in conjunction with Monte Cook. These foci are essentially super-abilities that can be used by any of the three classes, the Glaive, Nano, or Jack (ostensibly the trinity of warrior, mage, and rogue). Colin revealed some of the potential focus abilities that player could select. "You can speak with the dead, you can ride the lightning, you can control animals, you can master a weapon to an almost supernatural extent." Having such disparate abilities makes me think that this will be a title that will demand to be played multiple times. There is a synchronicity between the foci and the unique tide system, Torment's answer to the unyielding alignment system in Dungeons & Dragons. "Somehow, your character has been constructed in a way that manipulates these invisible forces," Colin explained, "so the choices that you make will reflect your tides, and they change throughout the game and will have a visible effect on you and people will react to you based on the choices that you made." Instead of their being good, or evil, or having deities and external judgements, these tides are families of concepts that help to define the player character. They are named after colors rather than literal ideals, though there are ways of thinking, emotions, and concepts that are attached to these color-coded tides. One example was the blue tide, which in part represents things like reason. Not only will actions align players more to that tide and have an effect on the people who interact with the protagonist, it also relates to certain foci that require a more logical mind and greater wisdom. Five tides exist in the Ninth World. While Torment appears to have been set up with plenty of conflict, it is still primarily a narrative-driven experience. However, that does not mean inXile isn't making an effort on the combat side of things. Mechanics are still not being revealed, as the developer wants to get backers involved in deciding these things, but a more robust system is being promised. Although combat will be featured, a lot, if not all encounters will be avoidable, according to Kevin, and the battles will have a narrative purpose. "We want it tied into the narrative, so there will be aspects of the storyline that will have gameplay effects in combat, and we want it to be important from a strategic perspective, we want to concentrate on quality of combat encounters over quantity -- this won't be an action-RPG." The weakest part of Planescape: Torment was its combat, as I see it, and the dungeon romp side of things was a lot less compelling due to this. It was the story and dialogue that hooked me, but the Planes were filled with violence, so it was a shame that getting stuck into a good scrap was a bit boring. That inXile is already asking for funding via Kickstarter while its previous Kickstarter project, Wasteland 2, is still in development has worried some people. I'm a fan of the concept of crowd-funding, but I still see it as somewhat unreliable and untested, so I don't tend to dip my toes into those murky waters. Kevin believes, however, that there isn't a better time to start the Torment Kickstarter. "For a small developer, having multiple projects is very important. During different stages of production or game development, you need different people and a different-sized team. Right now, being in pre-production for Torment, we are able to have the design all established and the writing complete by the time Wasteland 2 ships in October. Then the production team can take a well-deserved break, and come back and they know what they are making. "If we were to wait until later, either those people are idle or not being used as efficiently ... or the design of the game gets off track because it's being worked on by people who have less of an understanding of what the game is." By starting their Kickstarter campaign now, they are able to keep working on the game's foundations so that come October, things will be able to go into full production. InXile is aware that it is asking backers to take a gamble, but that's also why the studio released the first gameplay videos of Wasteland 2 -- to show backers and potential consumers what they've been working on. According to Kevin, the response from backers was overwhelmingly positive, which has given them the confidence to go ahead with Torment, feeling that they've shown people they can live up to their promises. It's also worth noting that, as they don't know how well the Kickstarter is going to go, if they do get more funding than they ask for, that will mean they can be more ambitious and add more features, as well as hiring even more writers while improving the visual aspects of the game. These are things they need to know sooner rather than later, and by October it might be too late to make these additions. With one game already successfully funded, the setting of Numenera also funded via Kickstarter, and now their latest project, inXile are very much fans of the funding platform and crowd-funding in general. As Kevin said to me, it makes them closer to their players. "We love how Kickstarter makes us accountable to the players and creates this relationship of trust... so moving forward, at this time, Kickstarter will be a part of what we want to do with our products. It also gives the early backers ... in exchange for their faith in us they get a lower price point for the product and they help us shape it." Obviously there are some restrictions when choosing the crowd-funding method, most notably the much smaller budget. The $3 million that Wasteland 2 secured may seem like a lot, but it's nothing when compared to the gross, bloated budgets normally found in, say, AAA titles. Due to the budget and the schedule, Torment will not be fully voice acted. It will, however, have voice acting for major NPCs and companions. These sorts of concessions make sense when working with less funding, and personally I'm happy that inXile is using its time to perfect the writing and mechanics rather than spending time recording hundreds of hours of dialogue. The Torment Kickstarter began today at 6:00am, and at the time of writing this it has already reached $400,000 of its $900,000 goal; so I imagine it will be fully funded by the end of the day, certainly by the weekend. It's going to be released on PC and Mac, as well as possibly Linux.